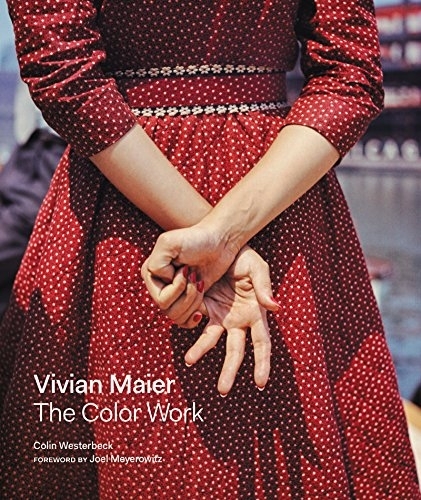 Book Of The Week Vivian Maier: The Color Work Photographs by Vivian Maier Reviewed by Owen Kobasz Photographer Vivian Maier’s allure endures although many details of her life remain a mystery. Her story—the secretive nanny-photographer who became a pioneer photographer—has only been pieced together from her images and the handful of facts. Vivian Maier: The Color Work is the largest and most highly curated published collection of Maier’s full-color photographs to date. 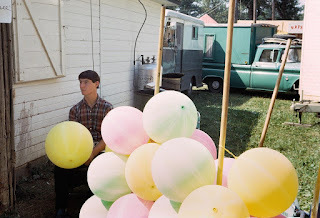 Vivian Maier: The Color Work. By Vivian Maier. 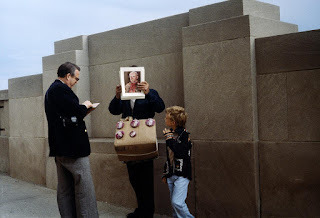 Text by Joel Meyerowitz and Colin Westerbeck. Harper Design, New York, USA, 2018. 240 pp., 150+ color illustrations, 10¼x12½". Inspiring two documentaries and a number of books, Vivian Maier has shaken up the photo world since her images were discovered in the late 2000s. A dual curiosity surrounds her work: first the mystique of the nanny photographer, who avoided sharing her work altogether, then the work itself. The element of mystery that surrounds a posthumous release of this magnitude makes it easy to romanticize Vivian Maier. Her prolific output and apparent lack of artistic ambition invite us, the audience, to see her as a sort of martyr. This view, however, doesn’t really do her justice. As an independent artist, she was able to create a body of work capable of transcending the space normally allotted to found photography. With only a few concrete facts to build on, Westerbeck continues by constructing a narrative from the images themselves. He traces the photography exhibits and cultural events that likely influenced Maier and how they are reflected in her photos. His account is compelling and gives us a framework to help understand the photographs. 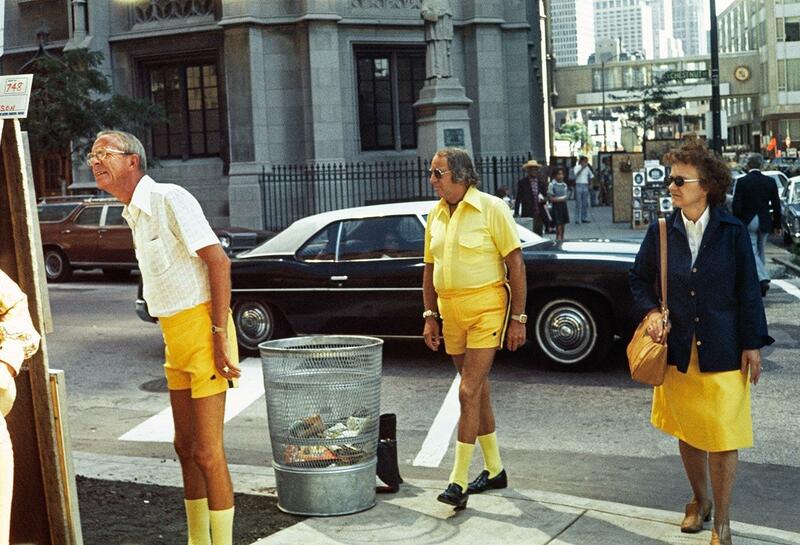 Vivian Maier’s photographs are a strong example of color street photography. Previously, her photos were notable for their impeccable composition and timing, as well as the range of emotion she packed into the frame. But in this new collection, her omnipresent color intuition rises to the surface. 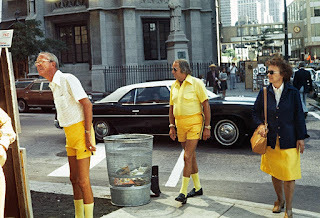 It first jumps out as bright primary colors: A man in all yellow, flanked by another in light yellow shorts and a lady in a yellow skirt. An old lady turning back, whose bright red lipstick matches her hat and jacket. We then encounter this intuition in more abstract compositions, like the picture of a man reading the paper whose silhouette is the reverse of the Alexander Calder sculpture in the background. Some of her images are silly, light, and whimsical — a poster of the Mona Lisa with hair curlers, a child sprayed out in a sandbox, or daisies poking out of a convertible’s back seat. Other pictures are dead serious. 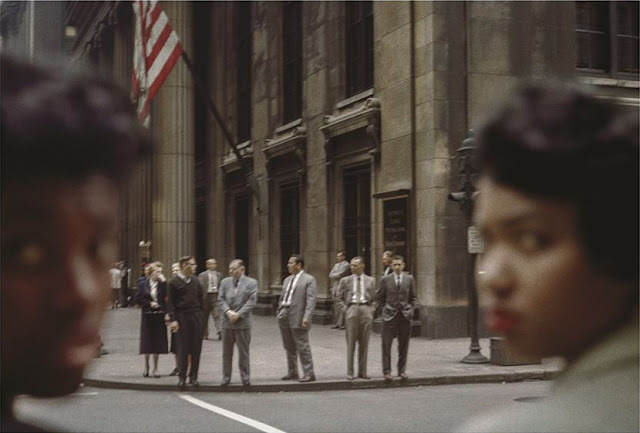 One of the most powerful of these captures two African-American women, out of focus, turning back, framing white businessmen in grey suits across the street. The nuance in photos like this has led to comparisons to Robert Frank’s classic The Americans. Westerbeck, however, suggests that Maier goes a step further by moving from an outsider to an insider and employing color. 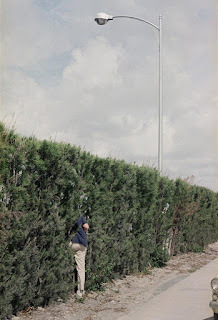 Mixed in are strange photos of everyday occurrences: A man selling things on the street, holding a picture of the pope in front of his face, a person partially submerged in the shrubbery, or children hiding in flower pots. The wide variety of Maier’s work makes it difficult to talk about as a whole, which probably isn’t the point. Most photographers release their work in series, but Vivian Maier’s came as a tidal wave. Her color work is just a small section of the treasure trove discovered by John Maloof; the 150 some pictures featured in this book are effectively a highlight reel. Through them, however, emerges a beautiful survey of one of the most interesting and important photographers to surface in the last decade.